Guess who's back, back again...your host is back, tell a friend. Yes, it's true folks, your esteemed host has finally unburdened himself from the volumes of snow that proliferated my alpine neighborhood and my compact Mazda is now free to roam far and wide. And this Tuesday, it took me back to one of my favorite trivia hangs, Petoskey's. But first a quick shout-out and thank you to our excellent substitute host Val who filled in for me last week; I hope you all gave them a nice reception. And now on to the main event, this week's blessedly snow-free recap. We had five teams join us for this Post-President's Day Celebration: Curds and Cans, Cornstache, Two Col. Mustards, Hamms Handed, and Probably Fourth Place. Things got started off simply enough in our General Knowledge Round 1 where we give every discipline of knowledge a good chance to shine. Whether you're a wrestling devotee identifying the protagonist of Fighting with My Family (Paige), a sports nut flexing off your impressive knowledge of acronyms (PPR = Points per Reception), or a pop-culture superstar who still enjoys cracking a book open every now and then (Which Rush Hour star released a memoir titled Never Grow Up? Jackie Chan), everyone had a chance to realize they know a lot more than they give themselves credit for. In the aftermath of Round 2 I could see that we were going to have ourselves a pretty competitive battle of the brains. Probably Fourth Place decided to eschew any attempt at clairvoyance by taking the first place lead with 13 points. But the margins were narrow indeed as Cornstache followed close behind at 12 points. A two-way tie for third at 9 points was held by Two Col. Mustards and Hamms Handed, and the caboose of our caravan of facts was held by Curds and Cans at 6 points. Round 3 is King Trivia's Theme Round and the theme for this night was 'Cheers to the Governor!'. And although there were some gimmies scattered amongst the questions ("What is the American term for the British 'prison governor'? Warden"), we snuck in a few cleverly worded ones as well to throw people off their game. And that manged to catch a few teams sleeping as they incorrectly identified our actor-governor of California as Arnold Schwarzenegger after hearing the first part of the question. But the patient ones among them who listened to the end knew that it was actually Ronald Reagan, as he was the star of The Killers remake. Our Guess Who Round 4 can sometimes be an intermission of sorts as teams struggle to guess the identity of famous individuals based on increasingly specific clues. Not quite the case in this contest, as every single team correctly identified Drake as our famous celebrity after the very first clue (with the exception of Cornstache who wrote down the answer in the first 10 seconds but wasn't confident enough to submit it). Now, was that because we've got some folks who spend their Sundays carefully trawling the early childhood sections of rappers on Wikipedia or because our clues weren't particularly well-written? I'll leave that unanswered as an exercise for the reader. Before we get the 'deets on our Find the Connection Round 5, let's get a quick score update. Probably Fourth Place was still failing to read their tea leaves properly, because gosh darn it they still found themselves in first place courtesy of 27 points. And we still had a tie as well, but this time it was for second place, as Two Col. Mustards and Hamms Handed daggered each other's eyes at 23 points. Cornstache wasn't too far removed in third at 20 points, and our friendly caboose of Curds and Cans had 10 points. It was quite a tough Round 5 for our competitors, as nobody put up better numbers than 60% accuracy and not a single team was able to guess the connection (all answers contain something 'blue'). But don't be too quick to blame our teams, we had some real headscratchers in the mix and I doubt the ability of most people to correctly identify the TV show that takes place on the ship named Steve Irwin (Whale Wars - Blue Whale) or the character who has been voiced by Katy Perry, Lucille Bliss, and Demi Lovato (Smurfette - Is blue). Although Curds and Cans did randomly guess Mama Smurf, so kudos for being lucky, or maybe not so lucky; hmm, is this a half-full or half-empty scenario? Handout Round 6 ended up proving your host extremely, unbelievably wrong as I had previously needled our teams for repeatedly missing historical questions. But much to my surprise we ended up with two successful Double or Nothings in this round which demanded our teams match famous historical figures with their Empires (ex: Alexander the Great --- Macedonian Empire). Courtesy of their impressive 20-point hauls from their DBOs, Probably Fourth Place and Cornstache took a big lead heading into our final round at 53 and 46 points respectively. Two Col. Mustards held strong on third place with 37 points, while Hamms Handed strategically drifted in their tailwind at 33 points. Curds and Cans had also done a great job closing the gap, as our caboose had made it all the way up to 27 points. What 9 rooms are possible murder locations on a classic Clue board game? Oh my goodness, when the stars decide to align, oh boy do they shine. Two Col. Mustards couldn't believe their good fortune as they practically submitted a successful Double or Nothing for 18 points before I could even sit down in my chair. 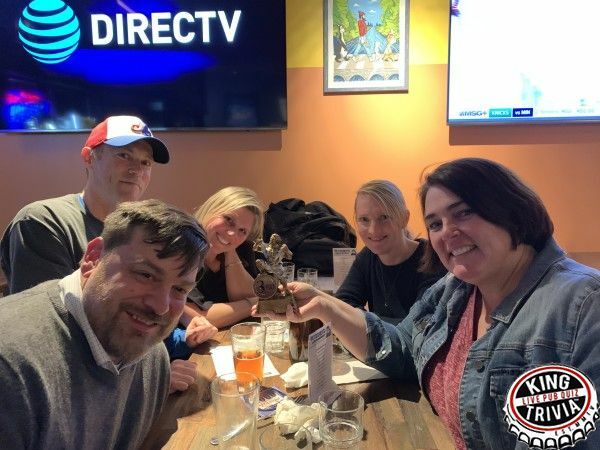 The rest of the teams weren't quite so lucky, as we had two failed DBOs by our trailing teams (Curds and Cans and Hamms Handed) in a valiant attempt to land a top-3 finish. 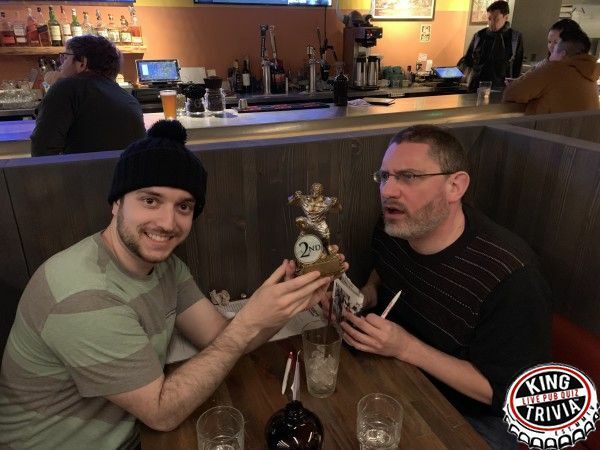 Third Place ended up being taken by Cornstache at 53 points, as they could only curse the cruel whims of chance that allowed Two Col. Mustards to squeak past them and nab second place with 55 points. 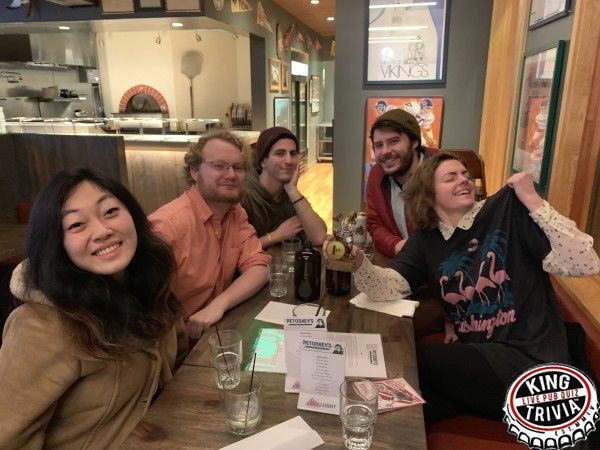 But even that wasn't enough to catch the night's top finisher, Probably Fourth Place was probably no more, as they won the night's competition with a clean 59 points. Thanks to everybody for coming out for February festivities, as well as putting up with me as I shook off some of the accumulated rust and dust from my 2-week hiatus. I think I got back into the funky groove of trivia by the night's end and am raring to come out swinging next time. I hope to see you all again soon, whether it's the coming Tuesday or one far beyond. Stay safe, stay warm, and stay fun!